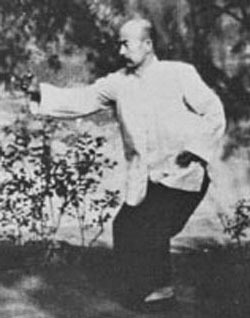 If there are several hundred different styles of Chinese Martial Arts (“Kung Fu”), then there must be thousands of methods of Qigong (sometimes also spelled “Chi Gung”). Qigong translates as “energy work” or “energy ability”. This energy is difficult to pin down or define, if one insists on wearing Western scientific “spectacles”. According to my family doctor, it does not exist. Yet this non-existent energy travels down equally non-existent pathways or “meridians” and needles inserted into certain juncture points along these meridians allow surgical operations to be carried out by some Chinese surgeons without the use of anesthetics. When it comes to the subject of Qi, I tend to echo the words of Henry Ford, to the effect of “Whether you think you can or you think you can’t..you’re right!” In other words, if you think that this is all a bunch of mystical mumbo-jumbo, it probably won’t work for you because your negativity and tension will be enough to block off any results that you are feeling. Qigong exercises or movements are usually executed in a very gentle or relaxed manner. Excessive muscular tension will cut down on the free flow of chi and, even more so, will cut down on the practitioner’s ability to become aware of the flow. Tai Chi when practiced in a certain way can be seen as an ongoing Qigong practice. Qigong “sets” or styles are usually easier and faster to learn than a whole Tai Chi form and are often also less strenuous (not that Tai Chi is very strenuous, but it is a matter of degree). This makes them extremely suitable for very old people or those recovering from illnesses. Some Qigong sets can be learnt within a few hours, making them ideal for “home practice” as well as for combating stress within the modern business environment. I teach a variety of Qigong forms which I have learnt from my two primary teachers as well as from a variety of instructors over the ten or more study trips I have undertaken to the Far East in the last thirty years. The truly wonderful thing about Qigong is that, if you are open to the idea, you can feel the results of the energy moving within yourself during your very first session. Having palpable feedback is very useful because it ensures that you are not just “having a lovely fantasy”. All methods have something to offer, but I have come across spiritual teachings that, even after years of “hard work”, the adherents can still not feel a single difference compared to how they felt before they started. This is certainly not the case for Qigong. Qigong offers a fantastic starting point on the “internal arts journey” if Tai Chi or Hsing Yi seem to difficult, time consuming or complicated at first.